When assessing public warehousing in St. Louis or in any other city, for that matter, it might seem hard to choose from among facilities. Price can be part of the equation, but a facility that is inexpensive because it doesn’t do the job right can end up costing more money in the long run. However, if you focus your search based on KPIs — key performance indicators — you can more easily hone in on the right facility for your company. KPIs are benchmarking tools that you can use to measure the effectiveness of a given facility for public warehousing in St. Louis. By using the same methods and the same KPIs for each facility, you can quickly compare between them to see which one provides the best performance. This allows you to compare apples-to-apples and find the right facility. This strategy works because the warehousing industry is driven by metrics. KPIs in this area measure how efficiently the facility initially accepts stock. It covers everything from the speed of the staff (measured by dividing the volume of accepted items by the man-hours spent) to the ability of the warehouse to accurately compare shipping manifests to the goods that they put in stock). A purely cost-focused company may choose to look at what each receiving line costs to actually receive. The stocking process can vary based on the strategy that the warehouse uses and based on what you direct. An automated warehouse may have its WMS define storage locations. Others batch and sequence the put-away function to minimize put-away time while others use an interleaving strategy to stage goods while also picking and pulling, keeping the warehouse’s staff operating at peak efficiency. 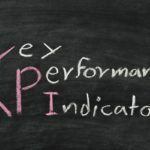 Put-away KPIs can also be broken down into five camps. As an example, utilization percentages measure the percentage of time that labor and warehouse equipment are used in put-away activities. A cycle time measurement divides the total amount of time spent by the number of items put-away. The type of storage systems that a public warehousing in St. Louis facility uses impacts its storage KPIs. A double-deep rack facility might require more time to access goods but can allow greater density. Stacking frames are designed for pallets and are highly portable, allowing easy reconfiguration. The choices that a warehouse managers makes can affect the density of the property (measured by calculating inventory stored by square foot) and with it the cost to store each item. Picking and packing KPIs include the number of order lines that a warehouse can pick in an hour and the cost to pick an order. Quality measures look at the accuracy by calculating the percentage of lines that are perfectly picked. Finally, shipping KPIs measure a warehouse’s efficiency at getting goods out the door. Quality metrics calculate the percentage of perfect orders while cycle time metrics cover how long it takes an order to go from being picked to being on a moving truck. Public Warehousing in St. Louis: What KPI’s should I care about? 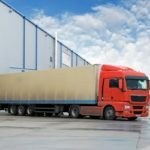 Logistics Providers in St. Louis: What is Transloading?